Hi Friends! 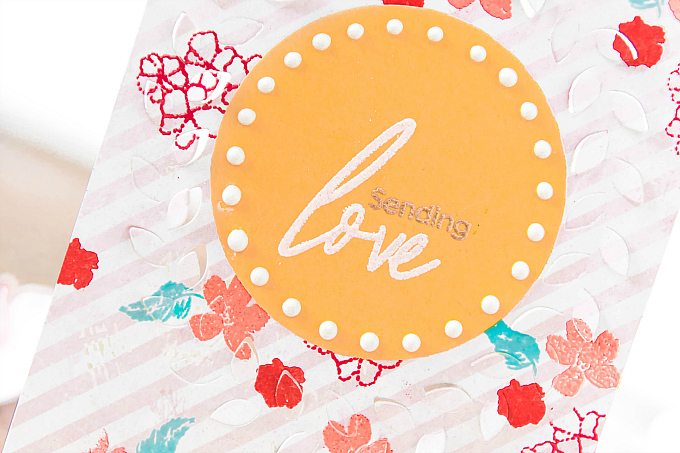 I hope you're having a wonderful Sunday! 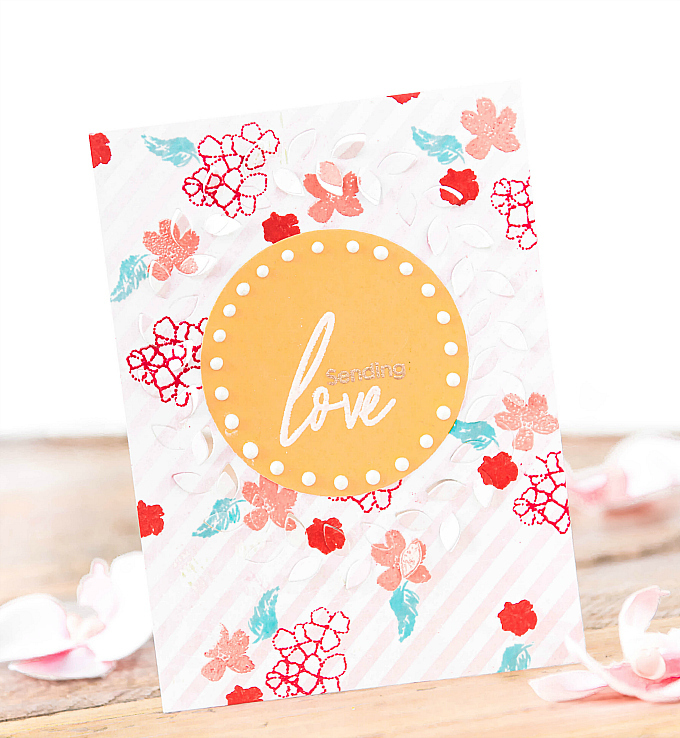 I'm popping in quickly today with a couple of very colorful cards, that were inspired by the challenge going on over on the Pinkfresh Studio blog. 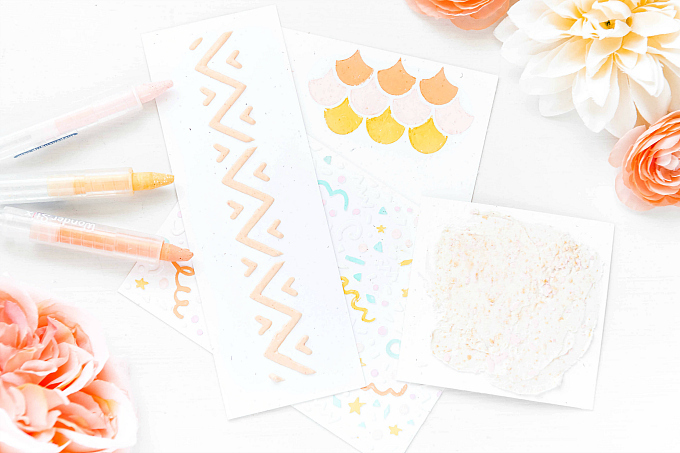 You can find all the details and all the info on some fun giveaways by heading over to the blog. 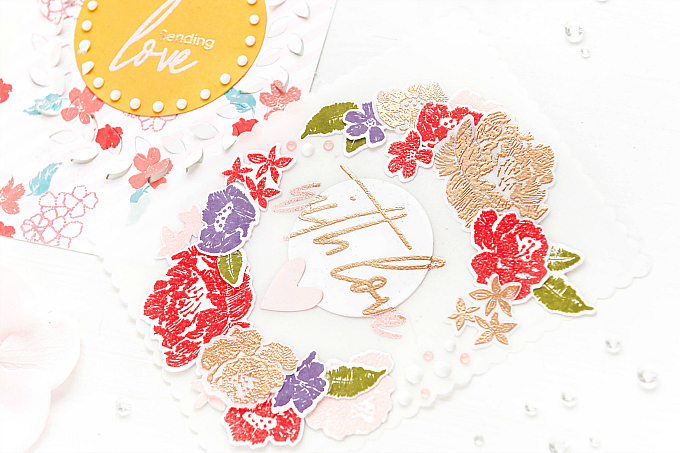 Between you and me - these almost didn't make it :) I couldn't believe that I barely had any of these pretty colors in my supplies. But I improvised a bit and came up with something resembling the palette for one of the cards, and the other just took me in a whole new direction. 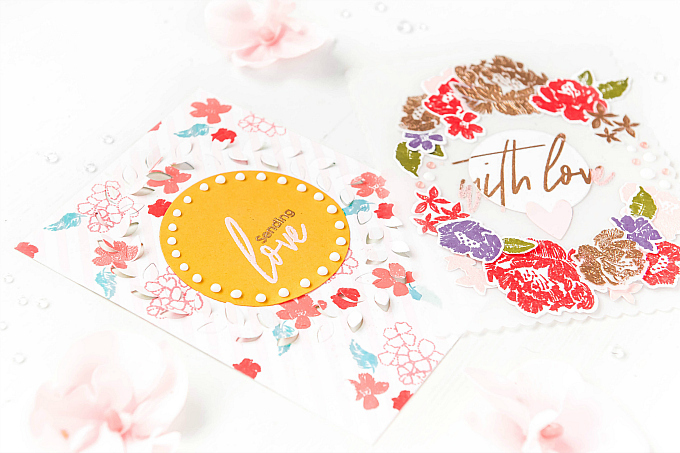 For both of my cards, I used the gorgeous new Embroidered Blossoms stamp and die set, along with the Scripted Bold Sentiments 1 stamp set. 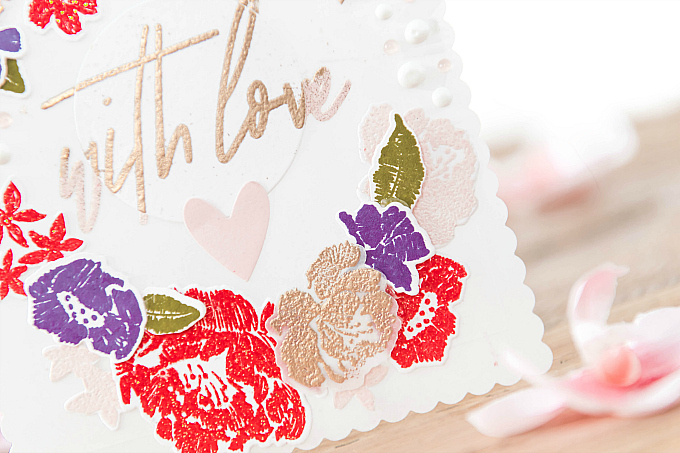 I stamped my florals on cardstock and vellum, both in dye ink, as well as Oxide ink, covered with sparkly embossing powder, and also a dash of gold embossing powder. 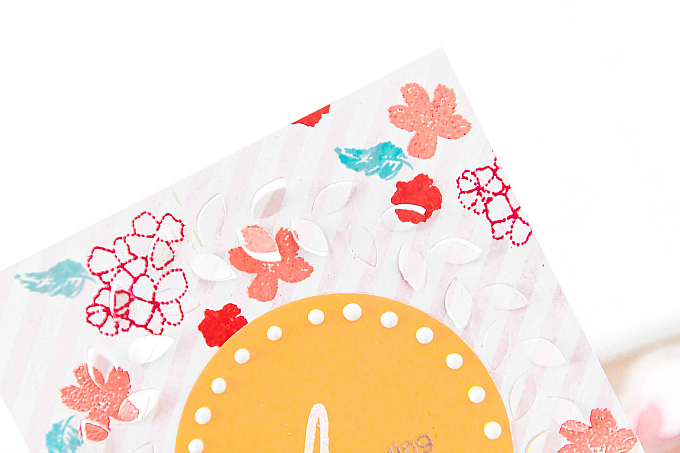 I then used the coordinating dies to cut them all out. 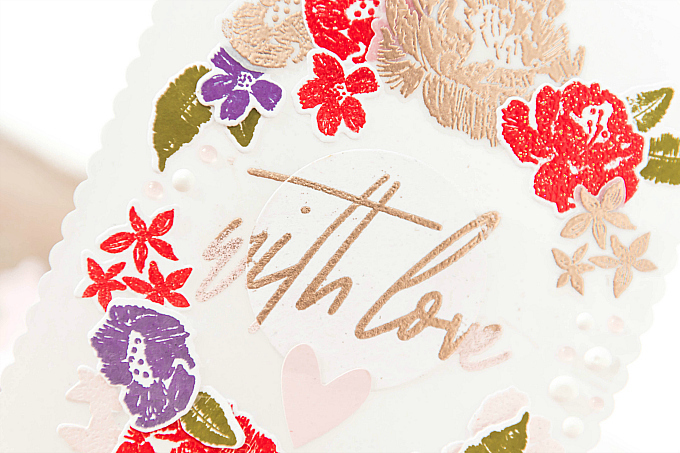 For the sentiment, I stamped and heat-embossed the large scripty fonts on the vellum card base (with pink and gold embossing powder for an ombre look) and then added a circle die-cut, and heat-embossed it again. For my next card, I tried to use only the colors in the challenge. 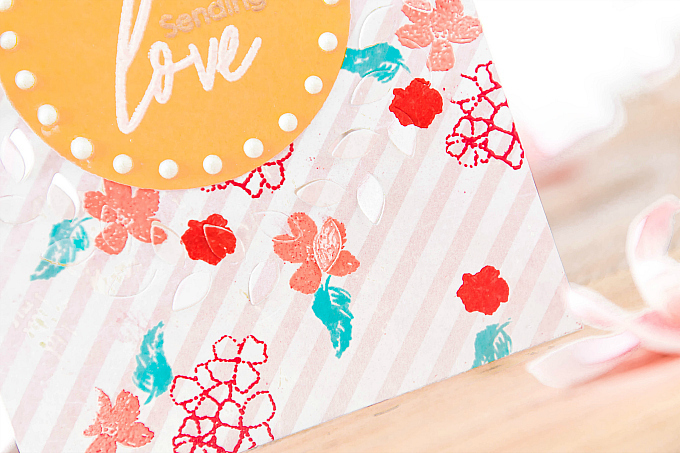 I thought this was such an interesting color combo and I loved playing with the stamped florals in making them come to life. 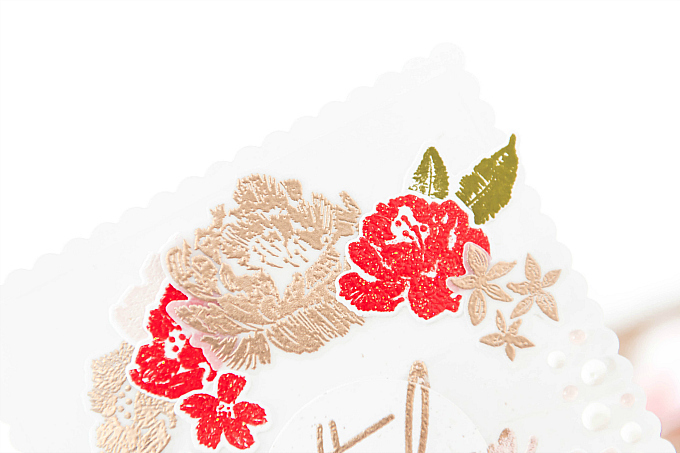 I used the Embroidered Blossoms stamp set again, along with some embossing powder, Distress Oxide ink, and dye ink. Thank you so much for visiting friends, I hope you have a wonderful, inspired day and perhaps give this challenge a whirl! Best of luck to all! This list features some affiliate links to products used in the project(s) above. 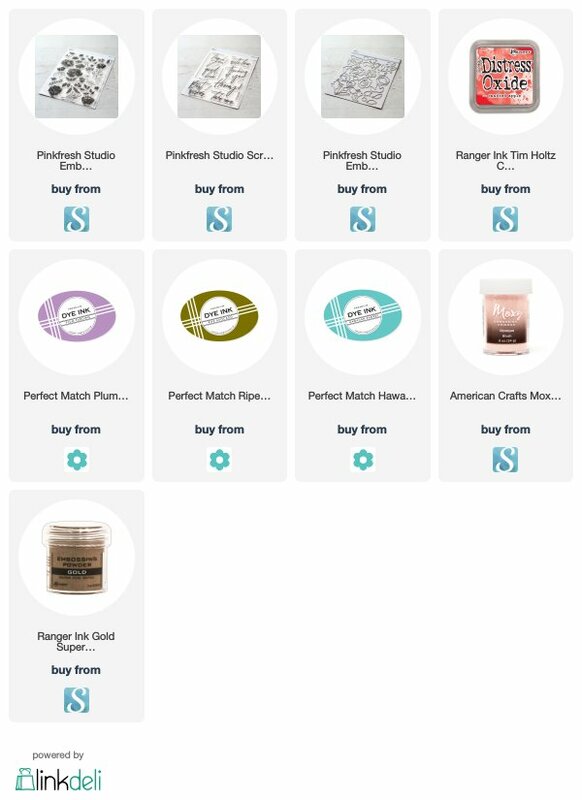 Should you use these links before you shop, it will never add any extra cost to your purchase, but it will go a long way in helping support this blog and exciting new content. 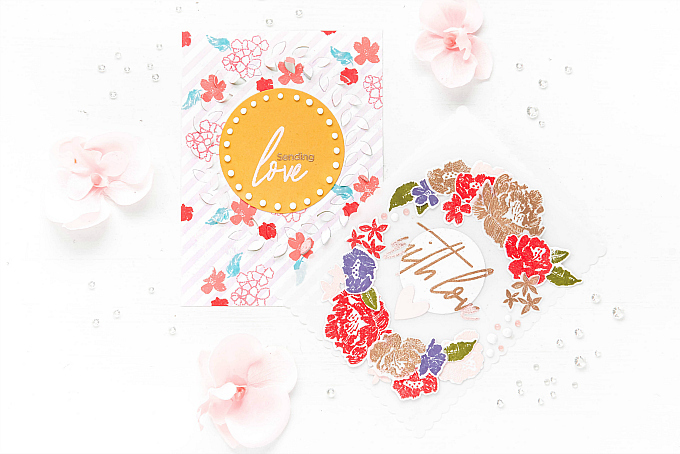 These are both just lovely Ivana! 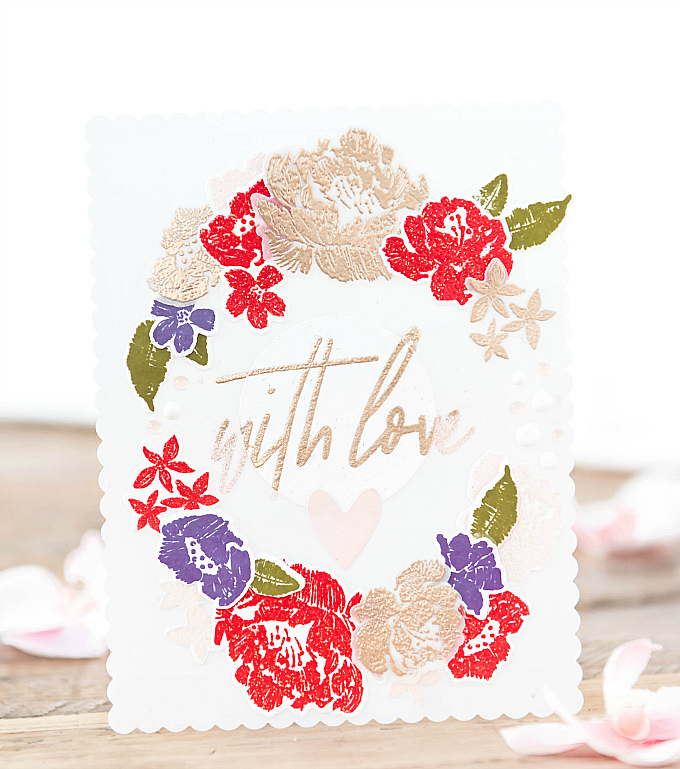 The embossing adds a wonderful elegant touch to those embroidered blooms. I'm glad you stuck with it and decided to share with us!